Pension & Gratuity: 1- On retirement from service, a civil servant shall be entitled to receive such pension or gratuity as may be prescribed. 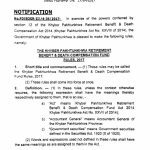 2- In the event of death of a civil servant, whether before or after retirement, his family shall be entitled to receive such pension or gratuity or both as may be prescribed. 3- No Pension shall be admissible to a civil servant who is dismissed or removed from service for reasons of discipline, but Govt may sanction compassionate allowance to such civil servant not exceeding two-third of the pension or gratuity which would have been admissible to him had he been invalided from service on the date of such dismissal or removal. 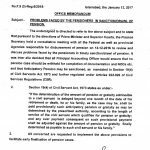 4- If the determination of the amount of Pension or Gratuity admissible to a civil servant is delayed beyond one month of the date of his retirement or death, he or his family, as the case may be, shall be paid provisionally such anticipatory pension or gratuity as may be determined by the prescribed authority according to the length of service of the civil servant which qualifies for pension or gratuity, and any over payment on such provisional pension shall be adjusted against the amount of pension or gratuity finally determined as payable to such civil servant or his family. 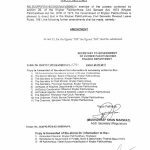 Provided that those who are appointed in the prescribed manner to a service or post on or after the 1st July 2001 till 23rd July 2005 on contract basis shall be deemed to have been appointed on regular basis. Provided further, that the amount of Contributory Provident Fund subscribed by the civil servant shall be transferred to his General Provident Fund. 5- In case any difficulty arises in giving effect to any of the provisions of his section, the Secretary to Government Establishment Department shall constitute a committee comprising of the Secretary to Government, Finance Department, Secretary to Govt Law Department and Accountant General Khyber Pakhtunkhwa for removal of the difficulty. (A Post by Sher Nawab Khan). I need Education Rules related to Record, funds and registers. 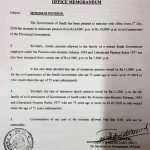 The Local Government Clerical up gradation pbs 7 to pbs 11 in July 14 was re notified in detail in September 15 due to official nomenclature dispute now my office TMA Lachi up graded the clerical posts in pbs 11on july 16 with out arrears payment. my question is in CFY 2016,17 the annual increment admissible or not? 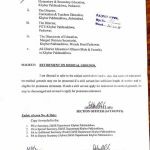 meri khyber teaching hospital mai jo ti waha sy mai ny noc li ti dhq hospital lakki mai meri job ho gai tu mai ny kth sy resign li q k waha rull hai atonomce body ka k phr resign kru gy ab meri kth ki service caunt nh hoti..mery pas ek rull b hai civil service regulation art 418 ka ..os mai leka hai k ek job sy resign kr k dosri join krny sy service caunt hoti hai..mjy koi idia do k mai kiya kru plz agr kesi ko es k bary mai kch pata ho. I am very found of your legal experties and always like your comments. I have a problem hopefully you will solve it fore. post for the purpose of pay. Please do quote rules because its somebody future. I shall be really thankful. Dear Muhammad Sabir the person who is working against the post must have its original post anywhere. The promotion can be made and then the adjustment be done again. Dear Shumaila Kamal, We are two brothers and are having a step mother. I am living separability from my brother and step mother since 2002. My father was a servant in Irrigation Deptt and he died during service. Can I get share in pension and graduty, as my brother is not giving me any share. Dear Khalid Khan u can get the pension & commute if your age is less than 21. Congratulations to the civil servants of Pakhtunkhwa and thanks to the previous members of provincial assembly for having great job for the poor people of the province. Is there any one who can confirm that the same act is applicable to the employees of public sector universities in the province as well or not? send me ur emial dear..
bohat afsos hay finance department kpk per.pore sobe ke cp fund molazmin ko gp fund may convert kaer dia magar sobe ke bare bare hosptalo(LRH,KTH,HMC ,MMC,AMC) KE MOLAZMIN KO PENSION KA HAQ NAHI DIA GIA. YE KIS SYSTEM KE TEHT CP FUND KA NIZAM JARI RAKE GA? JABM SOBE SE CP FUND KA QANOON HI KHATAM KER DIA GIA. dear mam.if possible clarify this thing. we doctors appointed on contract basis firstly in 2002 for 01 year then yearly renewl.then i thing in 2004 we passed public service commission.in our seniority list our date of appointment is written as 23.7.2005 and mode of app psc. Dear Amjad It will clarify ur department. Notification ko ghor se parho. darasal MMA govt ke doran tamam appointments 3 years contract per hoti then. bad men ye policy khatam ho gai. is notification k mutabiq 2001 se 2005 ke darmian wo log jo contract pe the wo reular huwe to in ko b ye haq malen ge. Dear all these ambiguities will be soon clarified by the committee mention in the notification. Salam, Akher kaar abdul akbar khan saheb ne clear kr hi dia k pension right sb ko milega. any how thnx Allah, thnx abdul akbar khan and thnx profesr Azaz (president of Pension Deprived Employees Asociation) and also thnx Shumaila kamal for their good job, nd congrats to all employees of kpk. AOA.Salam to all.The purpose of the bill is to vanish the cp fund policy and to restore pension and grativity for all civil servants of kpk.So no question of not given right of pension and grativity to servants employed after 2005. I pray that it will be for all the employees. dear shumila i appreciated u r afford of daily updation of website.Dear according to my information govt of pakistan gives approval of increase in salary of pIA employees what happen about the other deportments. Dear i think still nothing to be happen for the other employees. U r welocme dear for appreciating mine little efforts for the poor employees of Pakistan. WE Do not know but the Govt KPK Should give us the right of Pension and gratuity as we are appointed after 23rd July 2005. other wise we will protest for our right. Dear it is an amendment in civil servant act 1973 section 19. which was amended in 2005 by the MMA govt and deprived the civil servants of some selected departments from pension and gratuity . Now in my own opinion since it is an act so i think its for all the civil servant of KPK. FOR GIVING US SO PRECIOUS INFORMATION..
KINDLY INFORM US ABOUT THE RECENT POSITION OF THE BILL THAT IT HAS BEEN PASSED OR NOT YET FROM THE GOVERNOR KPK?? AND FINANCE DEPTT KPK ISSUE ANY LETTER REGARDING THIS BILL OR NOT???? 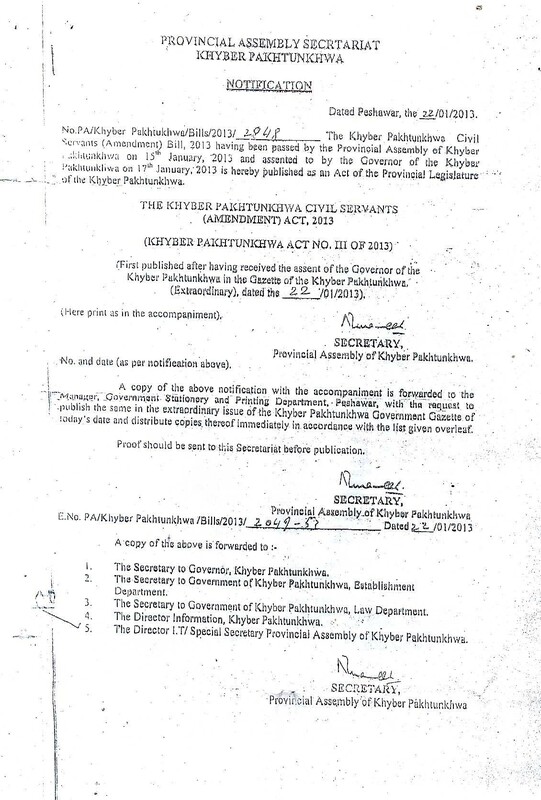 dears this new bill clearly shows that pension etc has been given to all kpk govt employes. dnt tense your self.the new appointee shall also take pension benefit. judges salaries have been increased by 20%. do this govt has interest to increase salaries of other depts too or they are just benefiting influential depts only. daily aaj peshawar or daily aaj abbotabad? there is no news in daily aaj peshawar 1st jan 2013..
i think thos appointed till july 2005 shall be considered regularized, and pension and graduity to all provincial employees. NO I WANT TO ASK THAT WHY PENSION AND GRADUITY RIGHTS IS NOT FOR ALL GOVT EMPLOYEES TILL 2013....WHY GOVT IS NOT GIVING US THE RIGHT OF PENSION AND RADUITY???? Dear I am not wrong according to the notification issued. If it will be applicable for all employees then there must be issue amendment in the notification. I only say that the notification says. AOA,Salam to all .Miss you are creating tension in mind of all civil servant appointed after july 2005.According to the notification ,those who were appointed on contract basis from 2001 to 2005 have been regularized with the benifit of pension and gratuity.All those who have been appointed after 2005 or be appointed in the future will have the right of pension and grativity.So plez be careful using social media as your personal openion is creating disheartedness in the mind of civil servants of kpk. 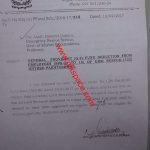 The cp and contact policy has been vanished through this amendment.which is the sole purpose of the bill.So cheer up all civil servant of kpk.Miss is totally wrong.If in doubt .she should verify from law reform commity and from the assembly infomation cell.I have verified it from the kpk assembly officials. Dear I have written in mine article that is written in the Notification. I not write anything that is not in the notification. The meanings of the notification u can understand. sense that the bill will give right of pension to those appointed upto 2005.Instead MMA will be sorry for passing that act of deprivation from pension if they have any sense of feeling the problems of civil servants. Asalomoalaikum. hope u will fine. Mr. Abdul akbar Khan MPA(who presented this bill in assembly) says that this bill for all employees not only for till 2005, and he further added that the system of CP fund is completely finished from the province. (you can see this statement in yesterday daily "AAJ" on 3rd page.(08-02-2013). A.A.Miss from the statement of Abdul Akbar Khan in daily Aaj,it should be clear to you that pension and gratvity has been restored for all servants of kpk without any condition of date of appointment.So now you should give us treat in shape of sweet of Shereen Mahal peshawar,Any how you are doing good work for employees of kpk.Congratulation to all of you.Thanks and regards.